Once, I had the pleasure of sitting in the cold, dank rain at the ballpark and watch my home team play. Through the innings of watching outs and runs one thing that couldn’t escape my attention was the camaraderie between the opposing teams. Yes, they were playing against each other, each determined to win. Yes, they would do what was necessary to gain the victory in the end. But, that didn’t stop the fellowship of being a player amongst one another. Though, for the moment, they are technically each other’s rival. They are, in fact, all members of the same big league family and you see this manifest itself in between the plays when they pat each other on the back or speak the same baseball family language of encouragement to one another. We are to be edifiers of one another building the church of Christ on bricks of love, 1 Thessalonians 5:11. Let’s start today with a determined effort to do our part and show the world the love of Christ through the camaraderie of the brethren of which we are all members of, male or female. 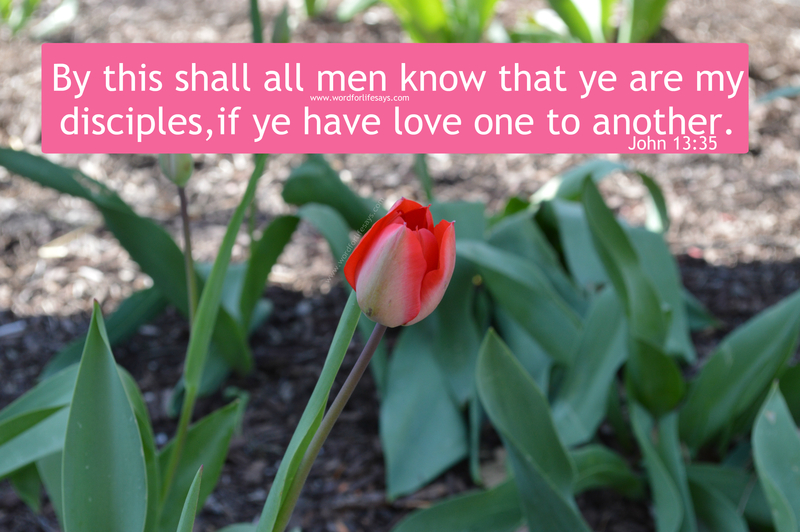 “By this shall all men know that ye are my disciples, if ye have love one to another,” John 13:35.